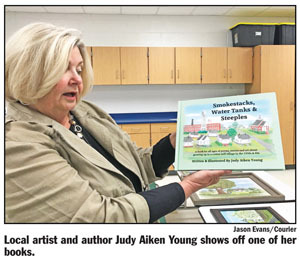 PICKENS — The Holly Springs Center will host a combination quilt and art show in conjunction with the Azalea Festival in April. The Upstate Heritage Quilt Trail turns quilts into square patterns that are installed on area buildings. The trail features more than 250 quilt squares, according to Cindy Blair with UHQT. 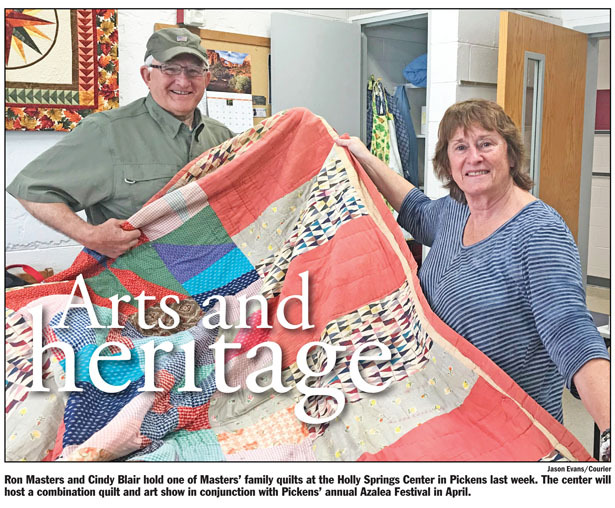 The Upstate Heritage Quilt Trail rents space at the Holly Springs Center for its Pickens County studio, its newest studio. Blair said the trail has two other studios — one in Westminster and one in Anderson. The show is a chance to show off the Pickens County studio’s work and introduce people to the UHQT.